Hill Manufacturing began supplying stamped metal parts to the automotive industry in 1948. 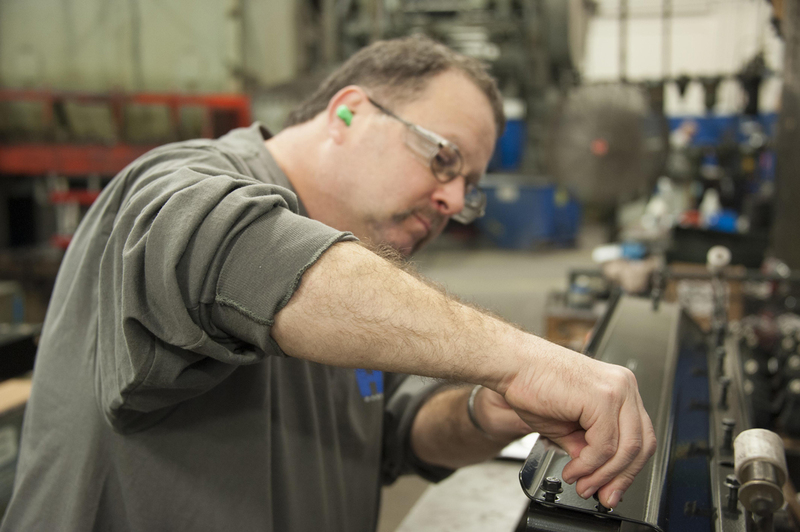 Through the years, we have become a well respected source for assisting customers in their design of parts for effective manufacturability. 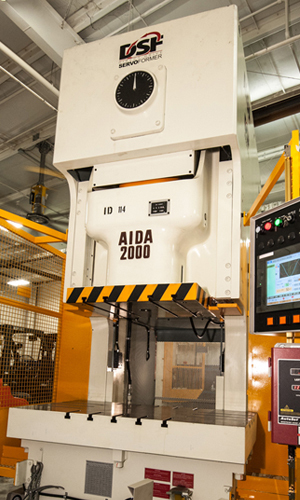 This has been developed through our innovative and knowledgeable employees, their experience and capabilities, along with our vast manufacturing capabilities. We have applied our unique knowledge and skill to diverse industries including heavy-duty truck, automotive, military, recreational vehicles, buses, etc. 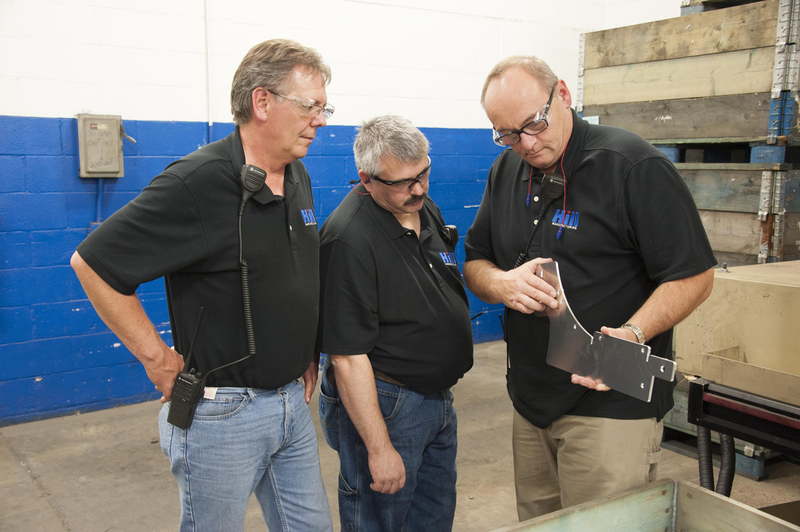 Our customers know that they can count on Hill Manufacturing to get the job done right – when they need it. 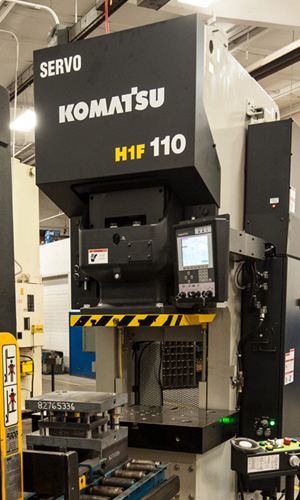 If your stamping needs require low to moderate volume and a high mix of components, you have found the right partner in Hill Manufacturing. Parts are stamped from a wide range of materials and thicknesses using both strip and coil stock. 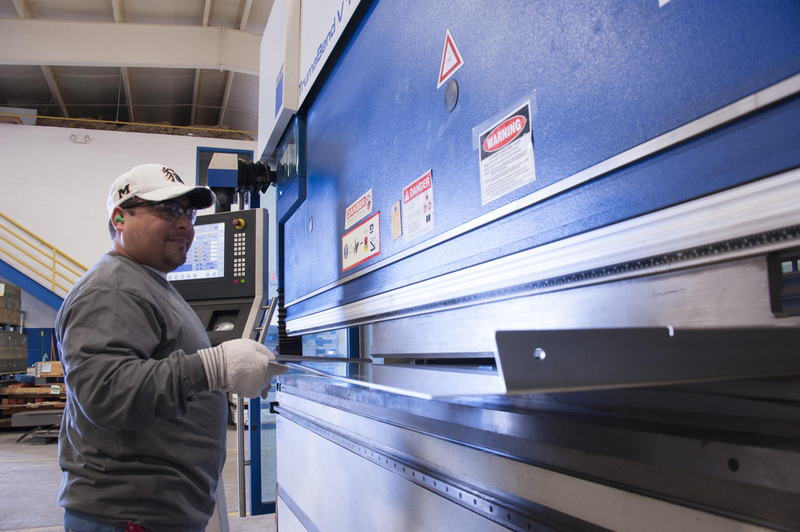 Fabrications are an excellent alternative to producing components from sheet metal or plate steel. 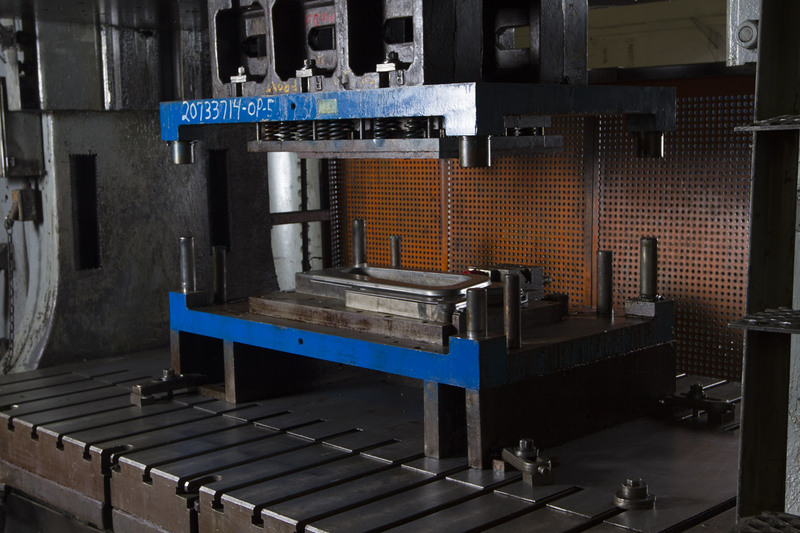 This approach will require little to no tooling costs and provides an effective and efficient way to produce low volume components for your needs, regardless whether they are flat or formed parts. 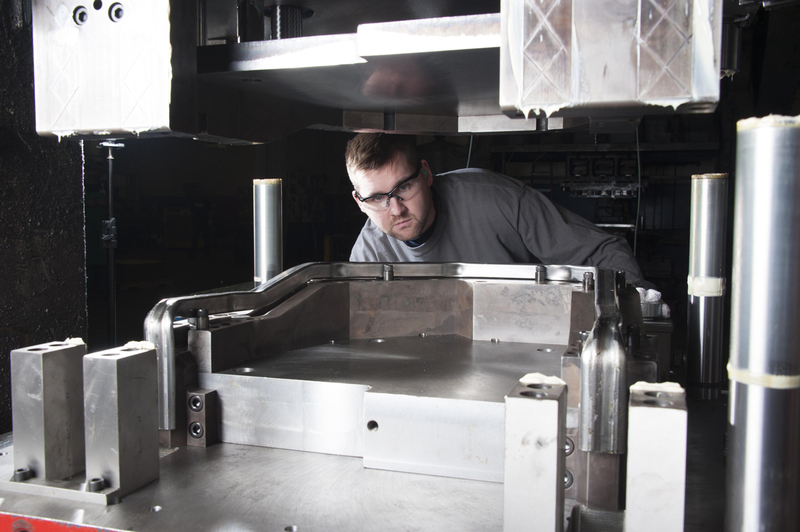 Many of the components that Hill Manufacturing produces get welded together to make a wide variety of finished sub-assemblies. Our welding capabilities are aligned to support a variety of your welding requirements. 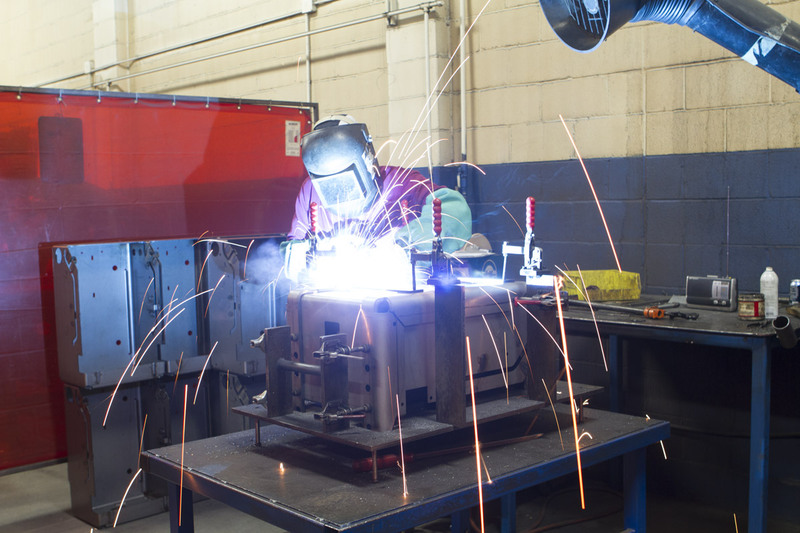 Whether your needs are MIG welding or spot welding – we have got you covered. Installation of nuts, bolts, hinges, latches, locks or special appliques – can be specified from a single source: Hill Manufacturing. 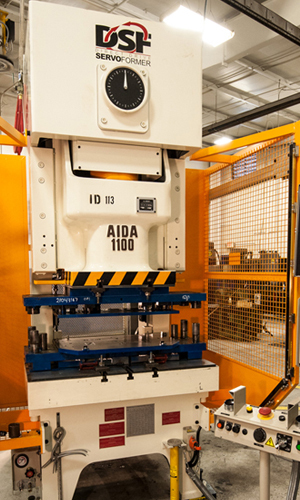 Our manual and automated finishing capabilities can be tailored to meet your specific needs.